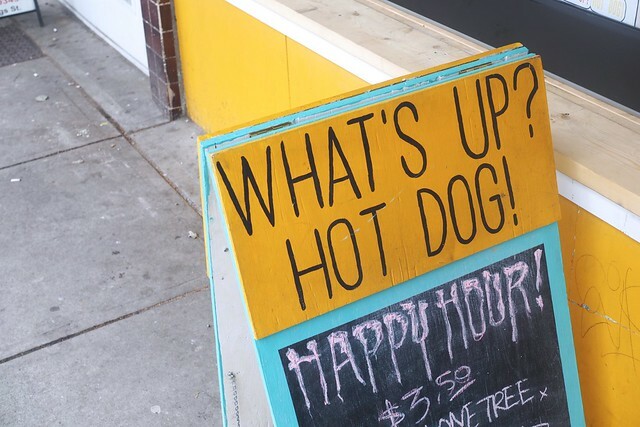 Hastings–Sunrise—Owned and operated by the husband and wife team of Matt and Jenna Hagarty, musicians with roots in the local punk rock scene, the amusingly named What's Up? 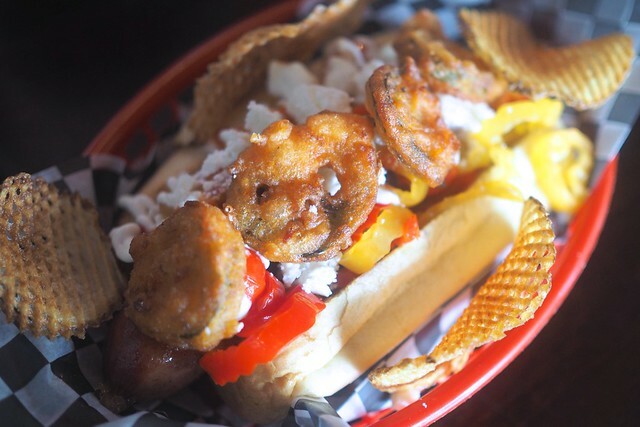 Hot Dog!—inspired by comedian Scott "Saucerman" Aukerman's catchphrase and his equally silly and irreverent podcast turned television talk show, Comedy Bang! 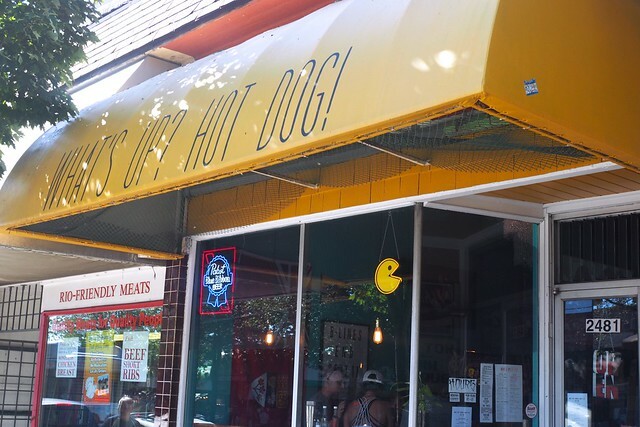 Bang!—is fixing to become a gourmet hot dog beacon of the East Hastings neighbourhood. 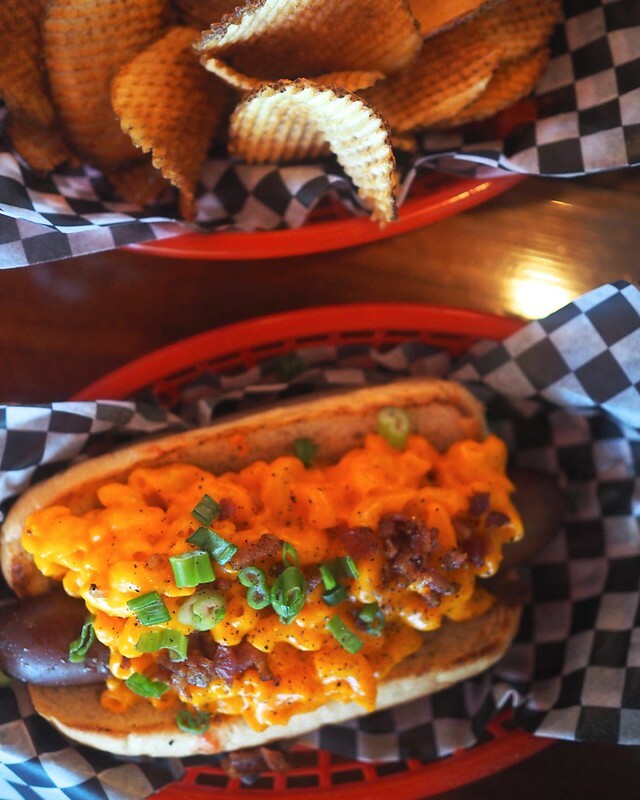 Their DIY approach and eclectic style with jukeboxes, pinball machines, baseball and punk rock memorabilia makes WUHD a casual dining joint with tons of character and charm. As for the actual grub, their custom-made beef hot dogs from Two Rivers Specialty Meats are fairly pleasing going down. 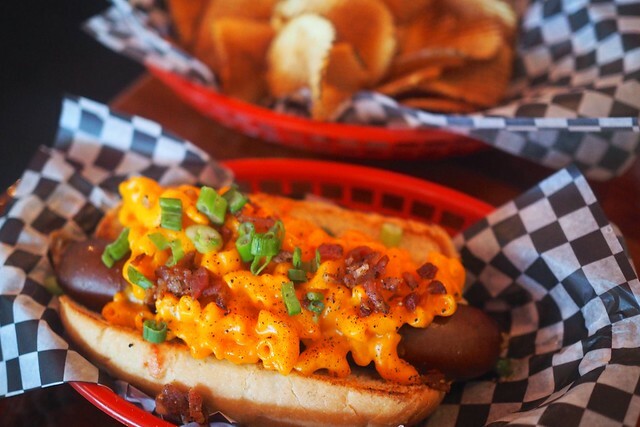 The Matt and She's hot dog (with mac and cheese, bacon bits, green onions, and black pepper) was everything. It's simple but delicious and comforting. It's no wonder it's their best selling dog. On a return visit, I had to try the Hot Saucerman hot dog (with deep fried jalapeños, hot pickled peppers, feta cheese, hot sauce, and mayo) so named after the aforementioned Mr. Aukerman. It had a nice spice and flavour to it while being extremely messy to eat. 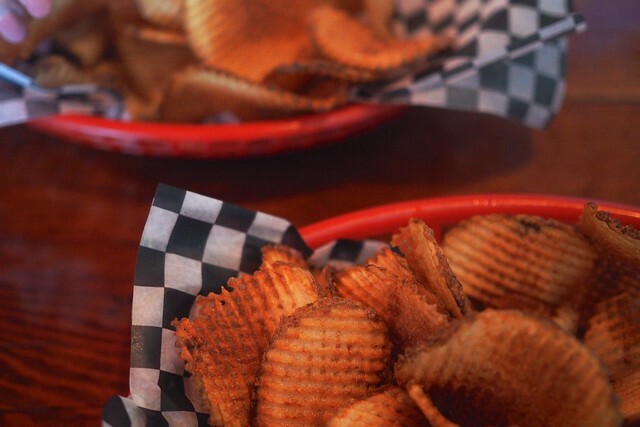 If you love chips and French fries (separately), you'll probably love their waffle fries as much as I do for their crisp tenderness and fried potato goodness enjoyed on multiple levels. WUHD also now serves weekend brunch (with bottomless mimosas!) in addition to its usual snacks and non-hot dog related grub like chicken wings, burgers, salads, and sundaes. It's already proving itself an appealing no-nonsense neighbourhood eatery.